Earn Extra Cash on Citi® Tuesdays at Walmart! This holiday season, earn extra cash on your purchases with Citi® and Walmart.com! 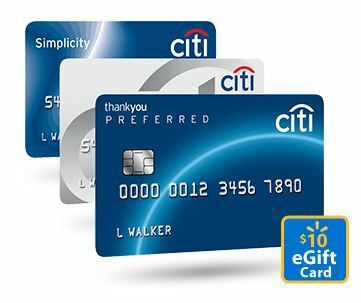 Citi® credit card holders will receive a FREE $10 Walmart eGift Card with every $100+ purchase that they make on Tuesdays, now throguh 12/17/13. I love holiday promotions like these! I know that for me personally, I'll already be shopping at Walmart.com, and I'll likely be using my Citi® credit card. So why not earn a little bit of extra cash by making my purchaes on Tuesdays? An added bonus is that most orders over $50 will receive FREE shipping as well! Also look for items that are eligible for in store pick up. I love to shop all of the pre-Black Friday and Black Friday deals at Walmart.com each year. I esepcially love the toy and electronic bundles that Walmart.com offers. I always keep an eye out for the LEGO bundles, becuase I can score some great deals on sets for my kids and for my neices and nephews. If you take advantage of this promotion, your $10 Walmart eGift card will be emailed to you within 10 days after a qualifying Citi® credit card purchase occurs. Eligible purchases must be made at Walmart.com – this offer is not available in stores. There is a limit of one eGift Card, per Citi® credit card, per Tuesday. Find all of the details about Citi Tuesdays including some restrictions on the Walmart website here. Next post: Picaboo Coupons | Save on Holiday Cards, Calendars and Photo Books!